On February 18, a rocket was launched from Poker Flats, Alaska into the arctic aurora, or northern lights. The two-stage Terrier-Black Brant rocket reached an altitude of 349 km on the Magnetosphere-Ionosphere Coupling in the Alfven resonator, or MICA, mission. The launch was sponsored by NASA on a quest to gain insight into space weather events such as solar storms that contribute to auroral formation. “This will help us better understand how satellite signals get degraded by space weather and how we can mitigate those effects in new and improved GPS receivers,” said the study’s lead investigator Steven Powell of Cornell University in a statement. 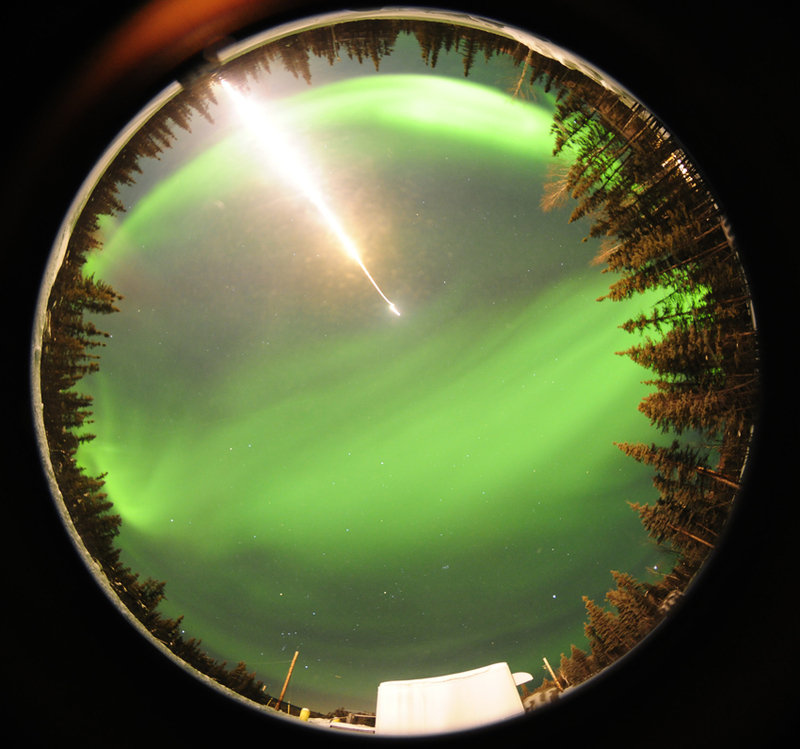 A fisheye photo taken by an automated camera near the entrance gate at the Poker Flat Research Range in Fairbanks, Ala., as a suborbital rocket launches into the northern lights on a science mission on Feb. 18, 2012 (Credits: Donald Hampton/Space.com).